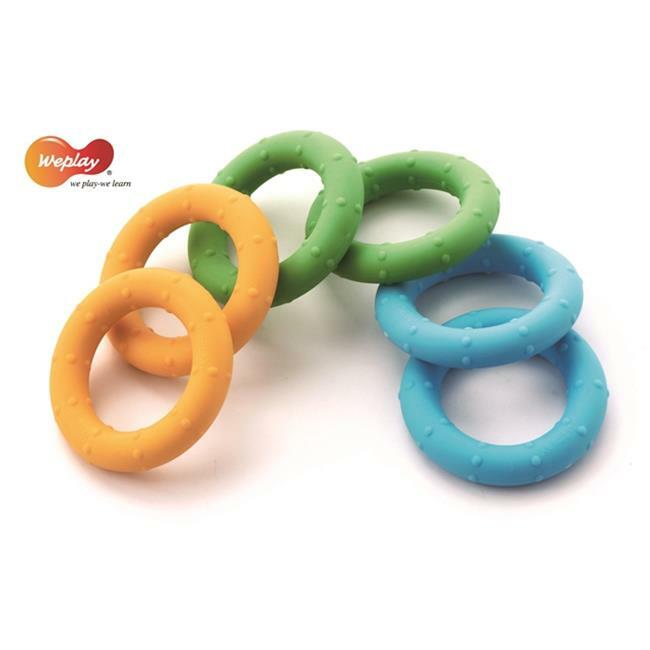 We play Squeezers comes with 2 sets of 3 different rings. Small enough to fit into the palm of a hand. Each color ring has a different resistance to help build finger strength. The Squeezers strengthen the muscles of the hands and wrist by holding, squeezing and twisting the Squeezer. To clean use a mild detergent and allow to air dry.